In case you hadn’t noticed there are big changes happening in the job board world. Now that Facebook and Google are in the game, the market is even more crowded and they are putting pressure on boards of all sizes and shapes. Things are changing at a rapid pace. 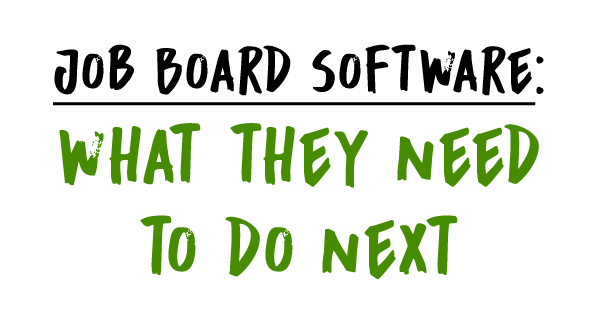 This new trend will certainly begin to affect the myriad of job board software vendors in our space who (for the most part) have been relying on selling a single product, a traditional job board platform. Since it is getting harder to start a board from scratch I think these vendors will be forced to diversify. Now is the time to rethink that model and add new product lines. Career Sites for Employers: Job board technology is basically an ATS in disguise and can be leveraged to become an employer career site. All you have to do is remove the ability for multiple employers to sign up and post jobs. Then you can add more ATS like features such as workflows, candidate notes and pre-screening questions. The market for DIY employer career sites is out there and I think employers would love such a product. 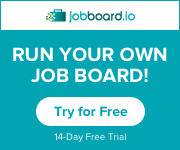 Membership Job Boards: People have asked me for years if there are any membership only job board software platforms where job seekers pay to gain access. No one has ever built one. While it is true that job seekers don’t pay for many things it may be time to offer such a product to the market and see what happens. Membership based sites are a proven model (in the WordPress world) and there may be a way to tweak it to fit the job space. People Databases: Sourcing is all the rage these days for recruiters. The amount of publicly available resumes and profiles is growing everyday. So lets offer a ‘reverse job board’. An RJB is a site that puts the job seeker first. Job seekers create public profiles instead of uploading resumes that can be found by search engines. The home page would feature a search box for profiles not jobs. Job seekers would see jobs that match their profile in their dashboard. These site could also offer their people data to sourcing sites like Entelo and Hiretual to attract employers. Once you have enough profiles for a certain niche, these types of site could charge for access. So there you have it, 3 new lines of business for vendors to make money on. Some of the technology for the ideas above already exists inside current job board technology. It’s time for these vendors to leverage that tech for new ideas. If there is one thing I have learned about the online job space is that no business lasts forever. You have to think ahead and plan for the future. 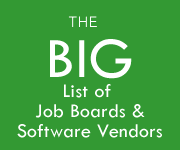 For job board software vendors, the future is here. 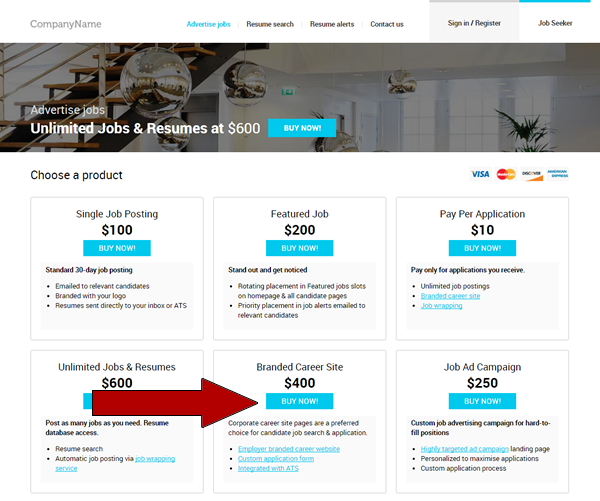 Sites powered by JobMount can now offer branded career sites as part of their offering. This news comes on the heels of Indeed’s recent career site announcement. According to Valerii Verbovetskyi, from Aspen Tech Labs which owns JobMount, “Corporate career site pages are a preferred choice for candidate job searches & applications. 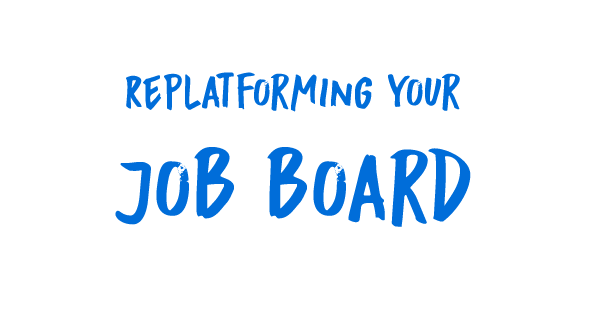 Job boards can now offer fully functional branded mini sites with a custom application process and targeted job campaign landing pages for hard-to-fill positions.” They announced a series of upgrades on their blog last week. So your Job board would have multi-site account within your dashboard to create career sites, ad campaigns or provide ATS access to employers. Here’s what it looks like in the pricing page. Personally, I like the move. Job boards need to add more products like this to compete with ad agencies and the new Indeed product. The more you can embed your site into the workflow of your employer clients the longer you will keep them as a client. It’s that simple. 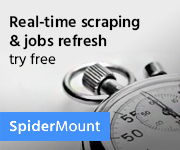 I have helped a lot of job boards over the years to move to a new software platform. “Replatforming” as its called, involves a good deal of planning and data extraction so it’s not to be taken lightly. You need to do it carefully otherwise you risk losing a great deal of traffic and sales. Plan and implement a communication and training strategy for your existing customers. You need to warn them of upcoming site changes and then educate them on the new features. Make sure all your job seeker and employer data is extractable from your existing platform. Depending on your platform you might lost some data in the transition such as passwords which usually aren’t exportable. Maintain your feeds. If you get traffic from sites like Indeed you need to either send them the new feed BEFORE you go live or ensure its contents are unchanged when you move to a new platform. I have seen several site lose their aggregator traffic because they forgot about this step. Reset your social channels. If you currently auto publish and jobs or content to social media you’ll need to reset those feeds if your RSS has changed. Keep high traffic pages. If you have pages on your existing site that get a lot of SEO traffic it is imperative you recreate those pages on the new site with the same URL structure. Otherwise you will lose that traffic. So if you are planning to replatform in 2017 take my advice or hire me to help. As a job board owner your number one goal should be driving enough quality applications to your customers jobs. If you fail in this task your employers won’t come back. Without this data you cannot service your clients needs. Jobboard.io recently introduced the “Apply Rate” which is the number of views divided by the number of applies. I love this stats and it’s something you should add to your own job board if you don’t have it yet. 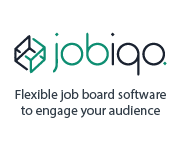 In Jobboard.io they show you total views, number of applies and the apply rate. Apply data from Smart Job Board dashboard. Smart Job Board is the first platform provider, to my knowledge, that now offers recurring billing options for employers. They made the announcement on their blog last week. 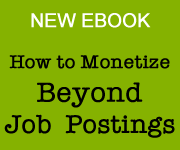 Recurring revenue is great for job boards (or any internet business). Helps to maintain steady income so think about ways to integrate it into your product mix. Also save you time from having to collect or sell to customers. You can choose to bill your customers on a monthly or yearly basis. There is one more type of revenue model that might make sense for software vendors to add. 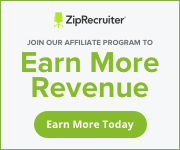 A membership based model where you charge job seekers and make postings for employers free. Would only make sense to use in certain industries but might be a good source of revenue for platform providers. For now you could try using membership software like Memberium. If you own a blog and want to add job listings to it there are a number of plugins to do that. But most of those only backfill from Indeed. But no more. Pete Metz, owner of SkiptheDrive, has changed that. He developed a WordPress plugin that lets you search and browse listings from Jobs2Careers, now the 2nd largest aggregator behind Indeed. I have installed it to display recruiting/HR jobs on my site RecruitingHeadlines.com. View it here. There are 2 steps required to set it up. First you have to have a publisher account from J2C and create a new feed for yourself from there dashboard. Once you have that you copy the user id and password from with that url and insert into the settings of the app. 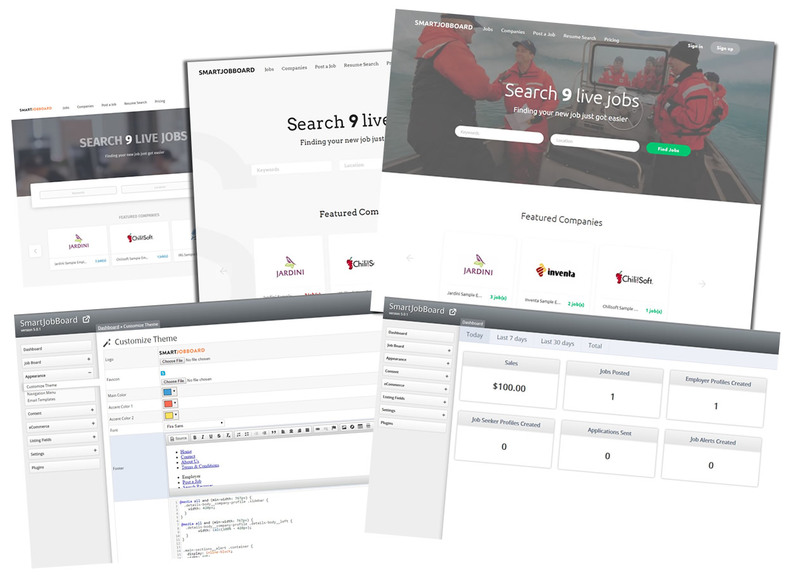 Just search for Jobs2Careers in the plugin store to find and install the app. One cool feature is that you can limit the backfill to a certain location if you have a local job board. Get the plugin here. NOTE: you cant post jobs, the plugin is only search/browse so its probably a better option for blog owners who just want a little extra backfill revenue. There is no cost for the plugin. 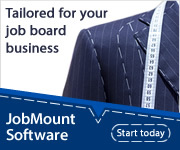 Aspen Technology Labs’ JobMount team announces the release of a new-age job board design platform. This fresh, responsive and fully featured job board solution provides an enhanced user experience for job seekers and employers, more customization options and better accessibility, especially mobile. As global employers continue to seek to attract top talent, JobMount offers a platform for niche job boards, associations, and entrepreneurs to upgrade or launch a job board business. They have also released a new whitepaper on Job Wrapping which you can download for free as a PDF. You can view their demo site here. Platform providers are finally getting much more visual with their templates reflecting a more design centric approach when it comes to job hunting. Full accessibility from any device: All front end users can easily access job board features, no matter what device is being used to interact with your job board. 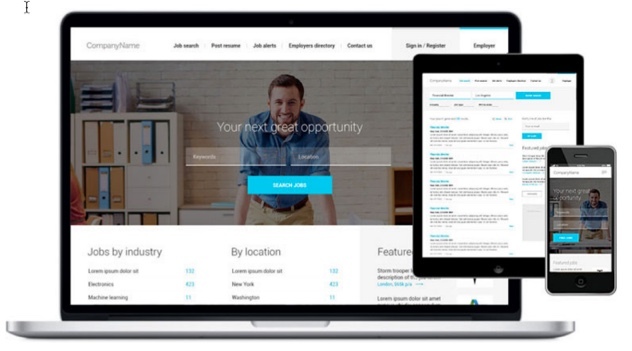 Job seekers can search jobs, and easily apply and upload resumes, from any device. Employers can buy and post jobs, manage job postings, view applications and search for resumes. 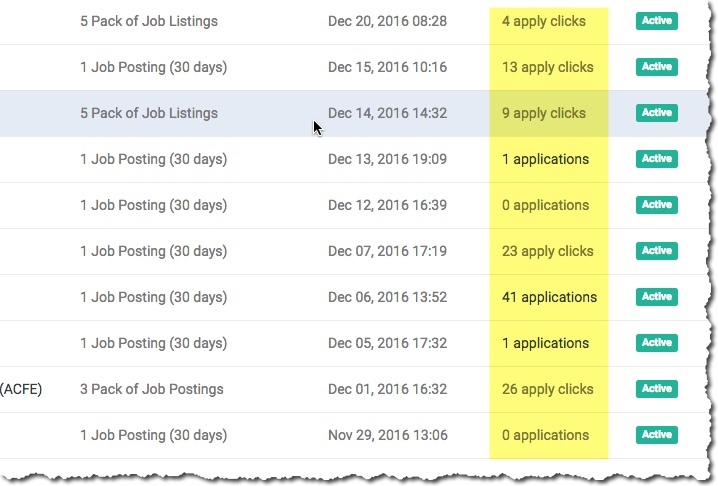 One click job alert subscription: Job seekers can take advantage of easy job alerts set up with just one click and start receiving various job offers from your job board. Eye-catching email notifications: We have also refreshed the available styles of email notifications to improve click-through and application rates for job alerts. 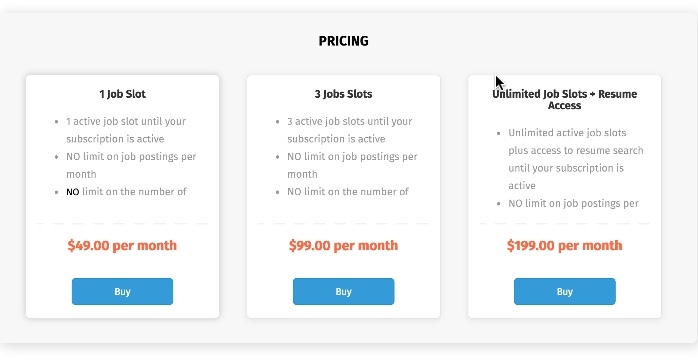 JobMount’s hosted version costs $295 per month plus setup fee. You can also buy the sourcecode if you want to host yourself. 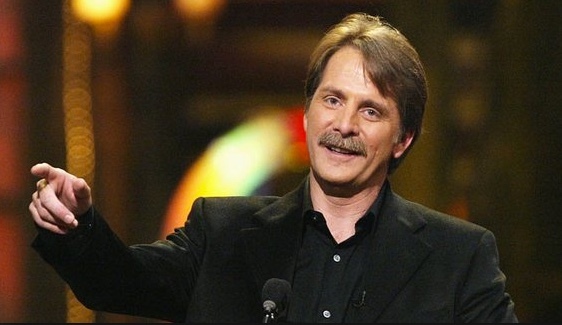 If your job board hasn’t upgraded its platform in the past 5 years, you might be a red neck. I have seen it time and time again as I speak to many job board owners each week. They are being held back by their platforms because they haven’t kept up with technology. Part of that is the vendors fault but mostly it falls on the owner who gets complacent and fails to change with the times. I talked to a job board owner once who had collected 100,000 emails over 10 years but never sent 1 newsletter to that list. In the end, his list was worthless because he failed to engage it. There are still way too many job boards using technology from 10 years ago. Consider this a WARNING: your site will eventually die unless you upgrade to more modern software platforms. Check out my ebook for a complete list. And you’d better upgrade your marketing too. 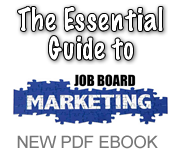 A lot of job board owners haven’t kept up with modern marketing techniques like social and SEO. Starting a job board today demands a modern platform and a modern marketing strategy. If you can’t do both, why bother? I asked Rodion Telpizov the developer of Smart Job Board a few questions over email. The company is based overseas in Kyrgyzstan. They have a new version out with new pricing. 1. What is the history of SJB? When did you start the company and why? 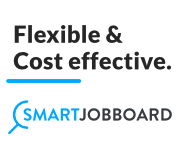 I launched Smartjobboard back in 2008. At that time, I was a co-founder of the software development company that provided solutions for automobile and real estate classifieds websites. We were doing well, but I kept looking for other less competitive markets. 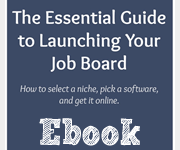 After long hours of research and analysis, I noticed that job board market had a greater opportunity and a bigger demand for a flexible and easy-to-use software solution. So, hired a couple of developers and in a few months the first version of Smartjobboard was successfully launched. I quickly realized that we were in a right direction, as many customers were choosing our solution and were happy with it. Since that time, we have significantly improved our platform based on customer feedback. And we are still working really hard to make it the best job board software on the planet! 2. How many sites currently use SJB as their platform? 3. Describe your new pricing structure? Host in the could – in this case we setup and host everything ourselves on our servers. We take care of all the technical part, like updates, backups and etc. Host on your server – some people prefer to have a full control over their website. So this option is for them. You’ll need to install and maintain everything on your own server in this case. There are also a bunch of add-ons you can purchase additionally. 4. What new features are in version five? Better Speed And Performance – By removing some bloated functions, the software is now much more robust and works faster. Awesome Responsive Templates – We’ve hired a dedicated design agency to develop clear and beautiful templates that look awesome on any device. Enhanced SEO – We’ve optimized the URLs, titles and meta-descriptions of the main job board pages: job search, job category, and job posting pages. Design Customization – You can now easily customize your job board without any coding. Google Maps API Integration – Automatically determines job posting coordinates for accurate radius search. 5. Why should job board owners consider using SJB? 1. It’s easy to use, set-up and customize. You can easily modify it design to your brand without any coding hassles. 2. It’s responsive and mobile friendly. So you don’t have to worry about losing your mobile users.